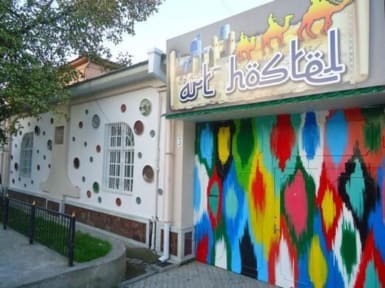 This hostel was one of the best hostels of my life! The staff is really friendly and the location is great, cause two metro stops and some supermarkets and bars are quite near. The staff helped me even with booking my train tickets and changing money. And the breakfast is just amazing! I haven't seen such a good breakfast in a hostel in my whole life! And it's completely free! 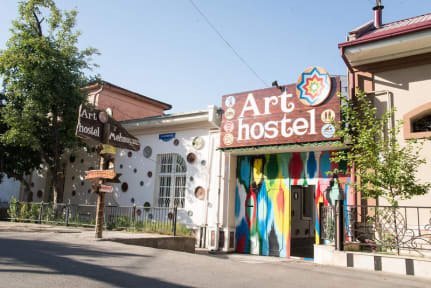 So if you come to Tashkent, stay in this great hostel! The staff is extraordinarily friendly and helpful. There's a big common room with tables and sofas where people like to hang out. There's a big kitchen where you can cook. A big breakfast (buffet-style) is included in the price. The hostel is kept sparkling clean: the room, the bathroom, the kitchen. There's a supermarket about 5 min. from there, also a bank and a mobile shop. The subway is a 5-10 min. walk away. Overall a great place to stay. Great staff and very nice rooms, the pool is fantastic to cool down after a super hot day in the city. Would stay here again.